Simple and streamlined, this no-nonsense fixed blade makes quick work of even the largest cutting tasks. A great choice for taking along on the trail. 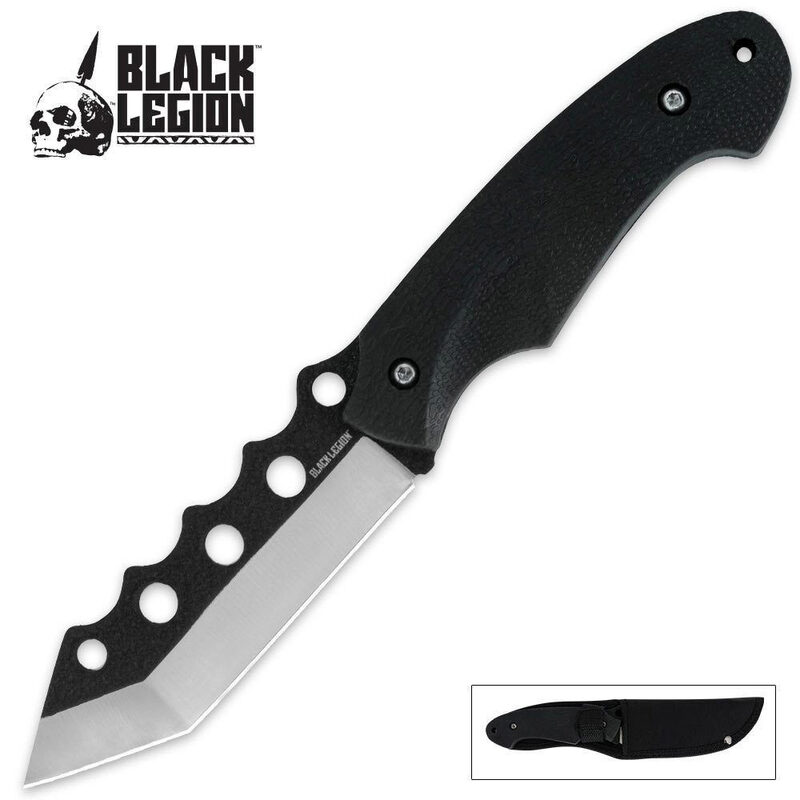 The sharpened, full tang blade is forged from stainless steel and sports a two-tone black and silver finish. The tanto tip is tapered at the spine, resulting in a fine point to help with precision cuts. The handle features a rubberized grip and lashing holes. Measures 9 in. overall with a 4 1/2 in. edge. A nylon sheath with belt loop is included. This is a solid and well built full tang knife. I has a good weight to it, the blade is thick, sturdy and extremely sharp and the handle has a good grip. The sheath is simple but well made. I bought one and then two more on a buy one get one free and free shipping special. This knife has many uses and is worth much more than what it sells for IMO.